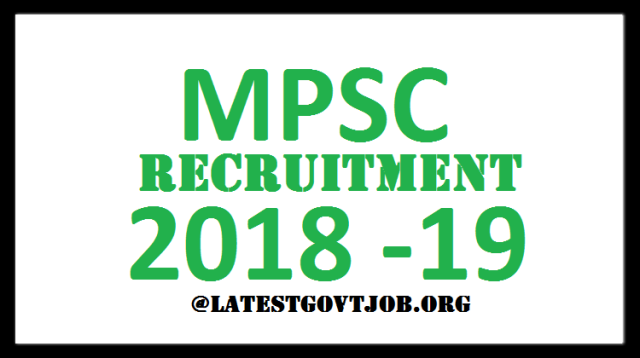 MPSC Recruitment 2018 For SI, Sales Tax Inspector & ASO 449 Vacancies | Apply Online @mahampsc.mahaonline.gov.in : Maharashtra Public Service Commission (MPSC) has released a notification for the recruitment of 449 Police Sub Inspectors, Sales Tax Inspectors and Assistant Section Officers. Interested candidates may check the vacancy details and apply online from 28-02-2018 to 20-03-2018. General/UR/OBC candidates have to pay Rs. 374 and Reserved Category candidates have to pay Rs. 274 through SBI Bank Challan OR online mode using Net-banking/Credit or Debit Card/CSC. Interested and eligible candidates may apply online through MPSC website - https://mahampsc.mahaonline.gov.in/MPSC/MPSCHome.aspx - from 28-02-2018 to 20-03-2018.